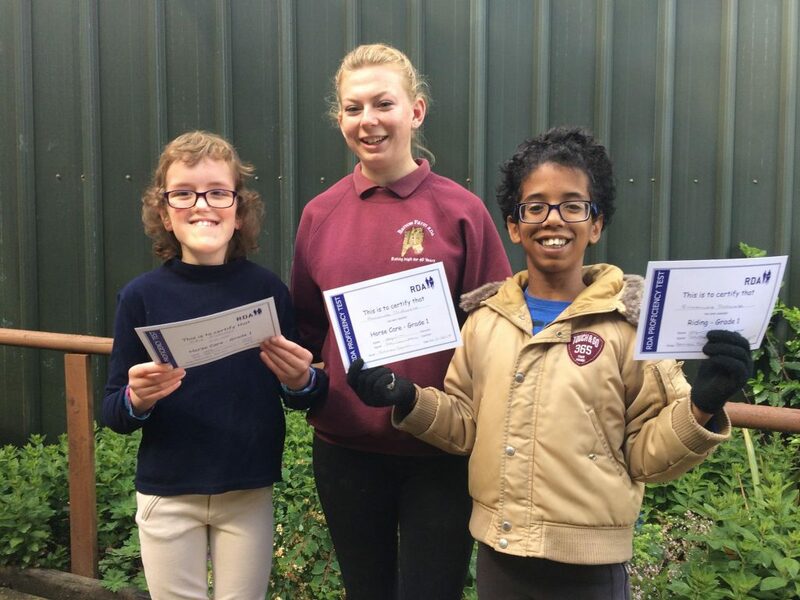 May was a very successful month for our riders at Barrow Farm RDA. Firstly on Open Day we had a large number of riders complete their proficiency tests or as we call them grade tests. These tests are part of the Riding for the Disabled Association’s education project ‘Learning Through Horses, Learning For Life‘. There are two separate awards, one for riding and one for horse care at each grade. On Open Day, Sam and Emmanuele passed both Grade 1 Riding and Horse Care. For Grade 1 Riding they need to be able to sit happily and balanced on the horse or pony whilst standing, walking and changing direction. They need to demonstrate an exercise they have learnt and hold the reins. For Grade 1 Horse Care they need to know basic parts of the pony, such as eyes, mouth and legs; parts of the tack, such as reins and stirrups; and how to approach the pony safely. 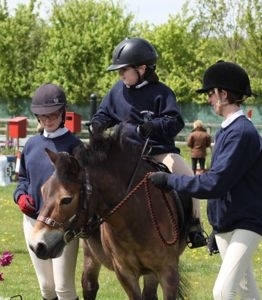 Katie already had her Grade 1 Riding but on Open Day she completed Grade 1 Horse Care. Ryan, Amy, Charlotte, Katie P, Jack and Christopher all passed Grade 2 Riding. They had to demonstrate their steering through bending cones, stop their ponies between two poles on the ground, show a range of exercises and movements and when they got off they had to show that they knew how to put their stirrups up. Well done to all the riders who completed Grade tests on Open Day!